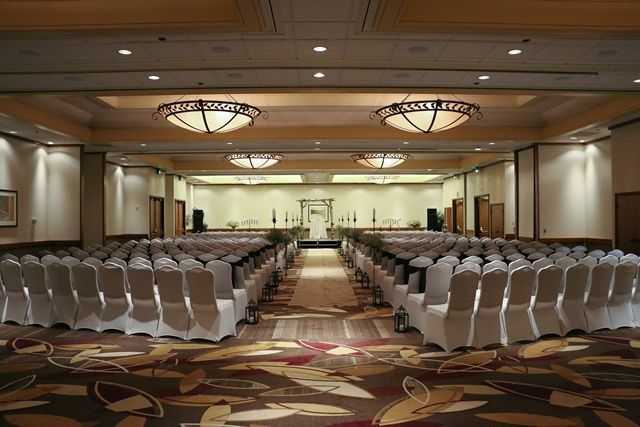 DoubleTree by Hilton Hotel Portland is a versatile, elegant wedding venue in Portland, Oregon. When you work with DoubleTree, you’ll be treated with special care and attention from the moment you inquire about your wedding. 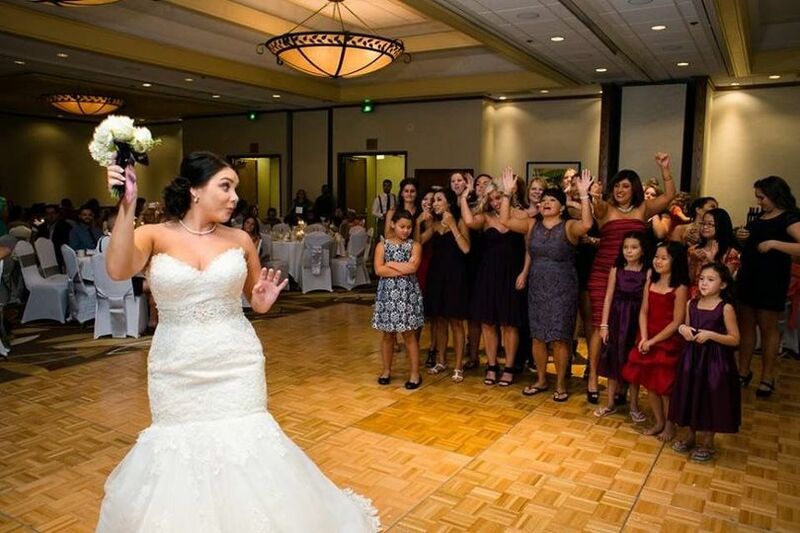 They understand that the little things make a big difference when it comes to planning your big day, and will work hard to accommodate every wish and desire. 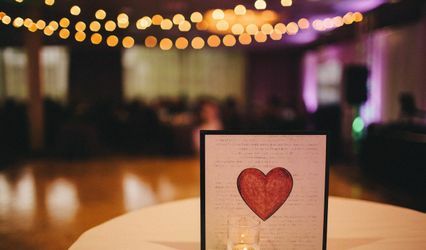 Every wedding deserves to be just as special as the two it’s celebrating, and DoubleTree by Hilton Hotel Portland can provide the magical evening you both want. 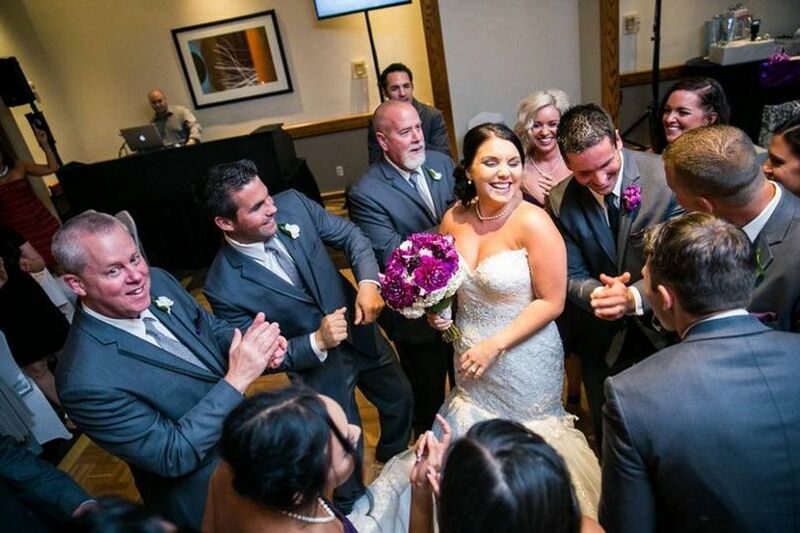 DoubleTree by Hilton Hotel Portland offers venue space for every kind of wedding party, from intimate gatherings of 10 guests to elaborate affairs of up to 1,000. 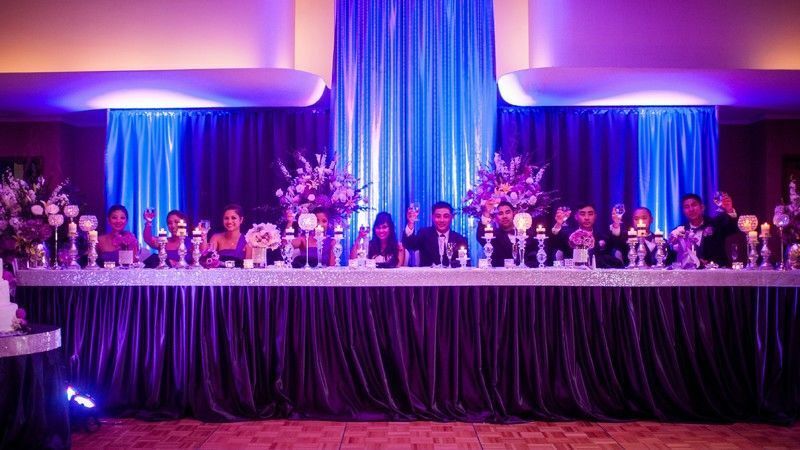 The ballroom spaces feature elegant curtained windows, mood lighting, and ample space for a dance floor. 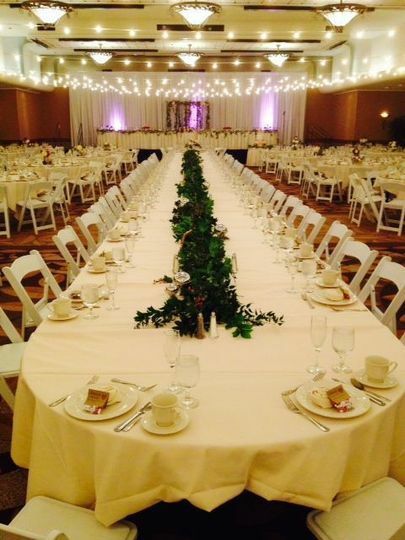 The indoor space is completely customized to your wedding, from the seating arrangements to the decor you choose. DoubleTree also has access to one of the most beautiful outdoor venues in all of downtown Portland. Adjacent to the hotel is the Oregon Square Courtyard. This park space is speckled with trees and covered in lush greenery and courtyards. It can accommodate up to 550 guests. 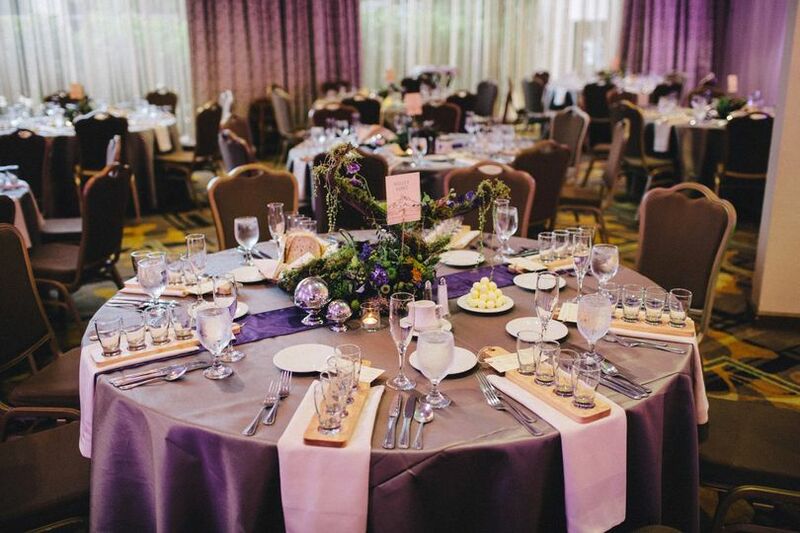 DoubleTree by Hilton Hotel Portland offers full-service wedding packages, which include catering and event planning along with the venue space. Your event coordinator and the DoubleTree executive chef will create a custom wedding itinerary, and a menu that will make your mouth water. 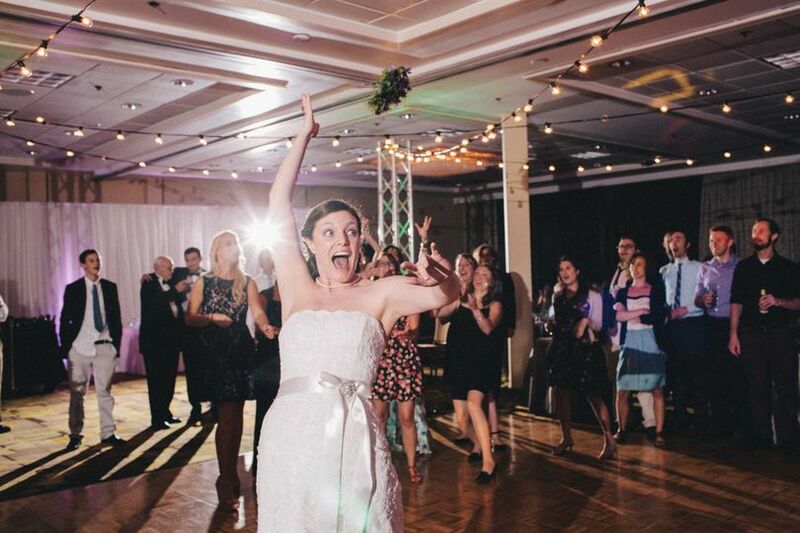 When working with the DoubleTree staff, you’ll never doubt that your wedding is their top priority. 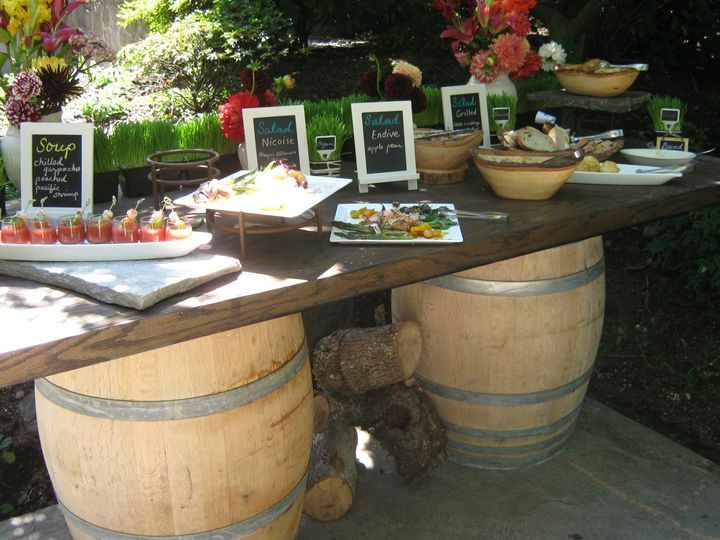 DoubleTree’s executive chef creates custom wedding menus inspired by traditional meals and flavors of the Northwest. The culinary team uses only fresh, local, and sustainable ingredients, and combines them into flavorful meals that every single guest will love. DoubleTree by Hilton Hotel Portland provides the couple and their guests with stylish, affordable rooms throughout the wedding weekend. Sweet Dreams® DoubleTree suites provide high-thread count linens, down bedding, beautiful bed covers and a custom plush-top mattress to make your wedding weekend so cozy, you may never want to leave the room. DoubleTree rooms also feature a HD flat screen TV and luxury toiletries. Foyer space to Lloyd Center Ballroom--perfect for mingling and staging photo booths prior to dinner! Sally and her team out did themselves on our wedding day. Not only did she go above and beyond to help with decor when our initial plan fell through, she and her staff were so attentive and made sure we had everything we needed throughout the ceremony and reception. The food was very good and so many of our guests agreed. I would highly recommend Sally and her team to my friends and family. Thank you again Sally, you were AWESOME!! Our event, a morning-after wedding brunch for 75, was a dream! From our first phone call to the splendid buffet brunch, everything was flawless. Flawless! Clear and prompt communication and follow-up! A can-do attitude as we worked out changes and details. Customer service at its finest! Our needs and wishes were heard and heeded, with grace and efficiency throughout. We settled on the menu and the head count and we never looked back! Refer a friend or family member! If they book their wedding reception with us we will send you a gift certificate for a one night stay for two with breakfast and parking. Contact us for details!